Summer ’18 has been one of the craziest seasons in terms of fashion. A blend of 70s, 80s, 90s, and 2000s fashion trends have all came back and appeared in the most unimaginable ways. From plain biker shorts to neon bodycon dresses, here is a list of the leading trends of this past summer. Rihanna is definitely one of the leading influencers for the tiny sunglass trend, and she makes it look CHICER than anybody. Here is her look at the Cannes film festival. This recurring 90s trend made a comeback this summer thanks to the “it girls” of 2018 including Bella, Hailey, Kendall, and Kim K. They all have different styles and make the biker shorts unique and retro in their own way! Biker shorts may seem like a staple undergarment but accessorizing them in a chic way can change the entire outfit. Hailey goes for a more grunge 90s look with her all-leather ensemble. Bella’s beautiful blazer paired up with her kitten heels, beret, and biker shorts makes for a vogue, Parisian look. Kim definitely shows off her figure in these body-hugging shorts, and her monochrome outfit brings out her inner Yeezy, streetwear vibes. Bold and bright colors have been prominent in summer 2018 fashion, whether that’s on the runway or on the streets, neons are the new trendy colors. Gigi does both a daring, 80’s inspired eye look with a neon trench coat. For those who aren’t fans of intense colors can tone it down with more neutral yet bright colors. Prabal Gurung does it perfectly with these bold yet feminine pieces from the ss 2018 collection. Florals, Checkers, and textures ruled the fashion world during the spring-summer and have been crucial to the iconic street style wear of summer ’18. Rihanna looks elegant and flirty in this divine Dolce and Gabanna printed dress. 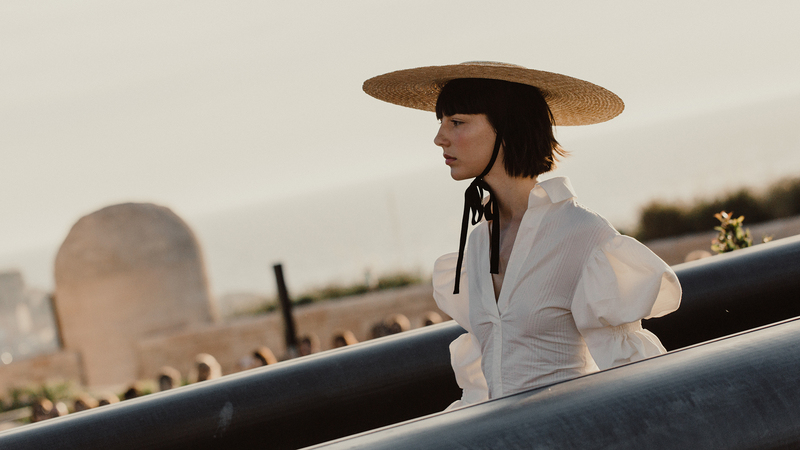 These beach accessories are reminiscent of a French film from the 60s and were one of the chicest hats to have for summer. 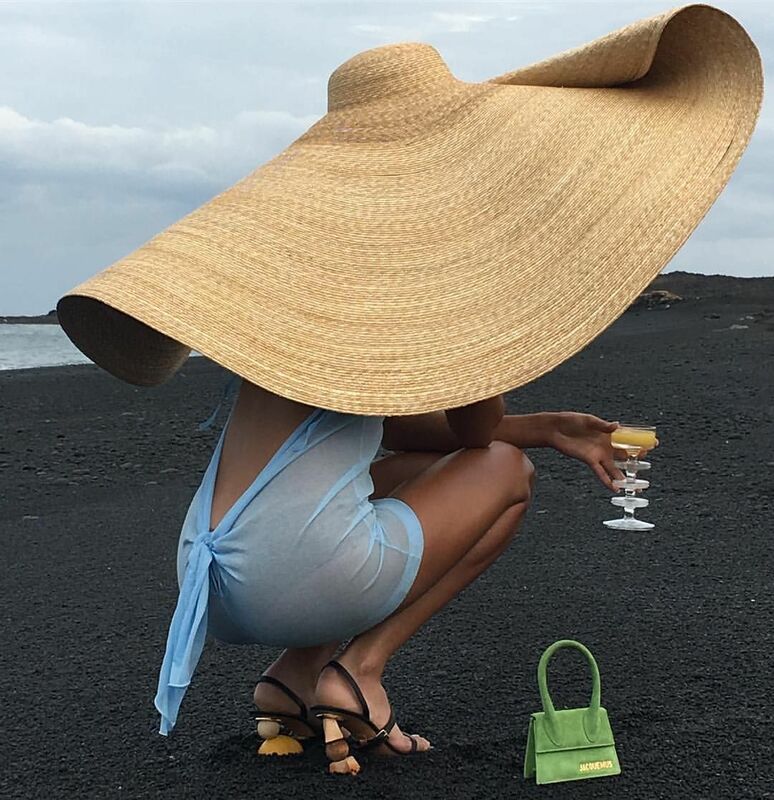 This trend has been brought back by up and coming designers and influencers and most notably by the iconic brand Jacquemus.